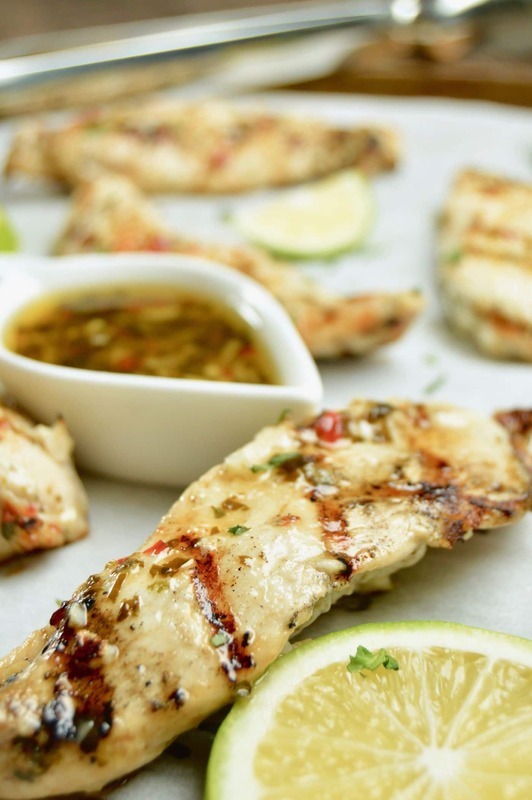 Grilled Chili Lime Chicken is full of flavor. Marinated overnight, then grilled to tender juicy perfection. Excellent for summer entertaining! 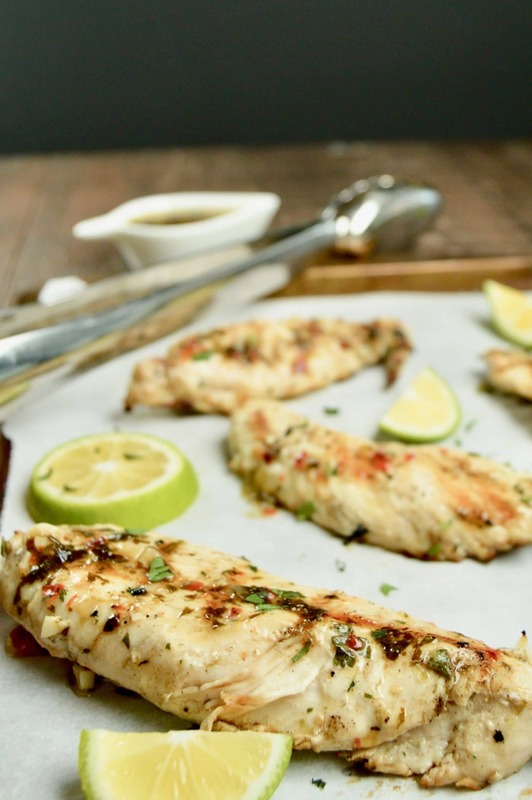 It’s BBQ season and today I’m sharing a recipe for Grilled Chili Lime Chicken. It is based on a salad from Central City Cafe in Los Angeles. The menu item is long gone from their menu, but the flavors of this chili lime marinade have stuck with me over the years. 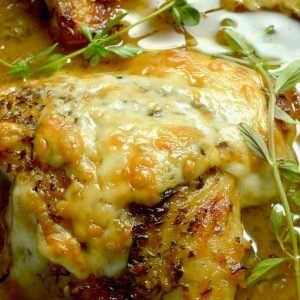 This recipe alternatively can be prepared in a skillet on the stovetop. Heat pan to medium high, cook until cooked through. While the chicken is resting, pour the rest of the marinade into the skillet and boil on for 2-3 minutes. Grilled chili lime chicken is great on its own, but you can also use it as the protein in a salad. 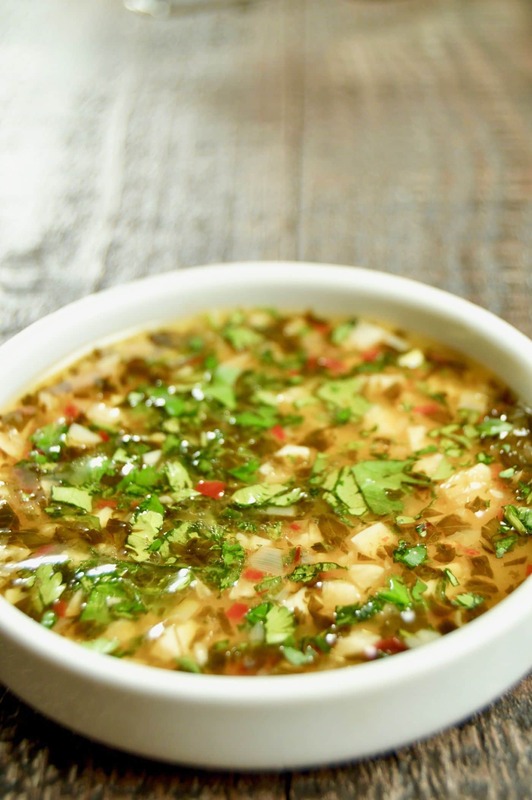 Use the extra marinade by adding an extra tablespoon of olive oil and a teaspoon of vinegar for a dressing. It also works well over pasta, using the extra marinade as the sauce. Slice up the leftover chicken and serve it with tortillas for tacos. 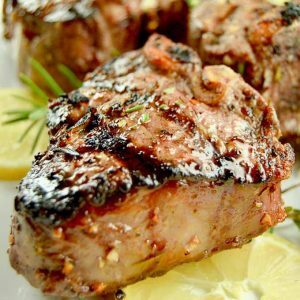 Make a double batch of the marinade, I can almost guarantee you will LOVE it for salad dressings. You can also include small diced peppers (red, yellow and green) in the dish you serve. It makes it quite colorful. A great dish for entertaining as you have the chicken marinated and ready to grill ahead of time so more time is spent with your guests. 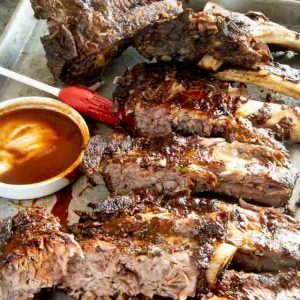 Looking for more easy BBQ Side Dish recipes? Give these a try! Or sign up for the mailing list on this page where it says “Join the West Via Midwest Community.” to get easy recipes for stress-free entertaining and simple tips to make things go off perfectly! 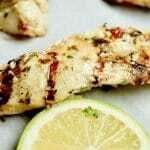 Grilled Chili Lime Chicken is full of flavor AND still healthy, marinated overnight, grilled to tender juicy perfection. Excellent for summer entertaining! In a small bowl, stir all ingredients except the chicken until well combined. In a plastic bag, place all chicken pieces and dump about 1/2 of the marinade in with them. Remove as much air as possible from the bag, then make sure to move the chicken around to coat all surfaces of the chicken. Leave in fridge for at least 30 minutes, up to 24 hours ahead of time. Save the reserved marinade to pour over the top once grilled. Preheat grill to medium high. Remove chicken from the bag. If you want to use this leftover marinade you will have to BOIL it to cook the raw chicken juices. You only need boil it for a couple of minutes. Otherwise, only use the one you reserved. Grill chicken about 5 minutes on each side, makes sure center is fully cooked thru. The chicken will char where it touches the grill. To get the "pretty markings" you need to set the chicken down, then resist the urge to move it around. Only touch the chicken once to turn it. Once Grilled, allow to rest for 5-7 minutes. You can brush some of the reserved marinade onto the chicken. Serve immediately. Leftovers are great for use on a salad the next day! I usually make double the marinade because it is a great salad dressing. Note that the times in recipe card do not include resting time for marinating. That marinade does look amazing, you’re right it would make a delicious salad dressing also a double-batch is definitely in order! Looks delicious and your pictures are amazing! 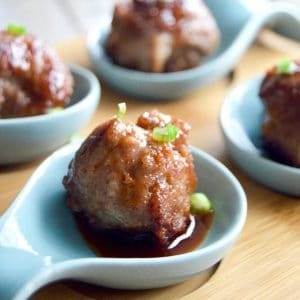 Perfect for entertaining, but also a great recipe to prepare the night before during the work week. Makes for an easy dinner, and a tasty one too. Love this marinade, so simple and delicious. I will try it over the weekend for our barbecue! Hip, hip hooray for grilling season. And what a way to kick it off than with this chili lime chicken. It looks amazing! So good that I would love to have it on everything you mentioned. Definitely going on my list of things to grill this summer.